FAQs » Disney Resorts » What is Pop Warner Week at Disney World? If you've spent anytime at all on Disney message boards or if you've poured over our crowd calendar you might have noticed something called "Pop Warner Week" listed. But what is Pop Warner Week at Disney World and why do people sometimes recommend avoiding it? Pop Warner is the name of the largest youth football and cheer program in the nation. One of the highlights of the season for the youth playing and cheering in Pop Warner leagues around the country is their Pop Warner Super Bowl and National Cheer and Dance Championships. And guess where those are held? Yep. 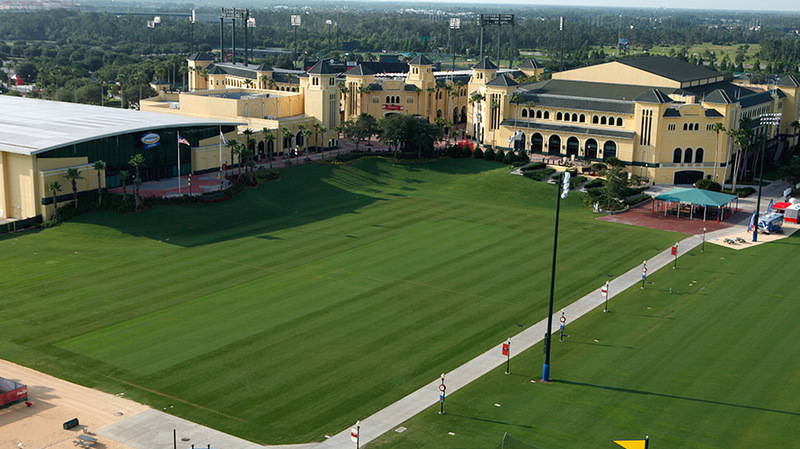 Disney World, at the ESPN Wide World of Sports complex, to be exact. 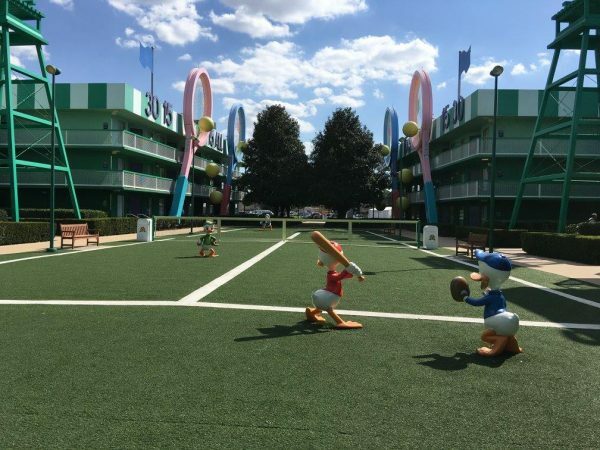 Now - before I say anything else I just want to make it clear that for every bad experience people might have had during Pop Warner Week at Disney World you can find another one that is positive. But, like with anything people are a lot more likely to complain about something online than they are to praise it. That's just human nature, I think. But, anytime there are special events happening at Disney World (be it runDisney races or cheer competitions or Pop Warner week) it is better to go in to your visit prepared. That doesn't mean you have to be fearful. Just be prepared. During the competition there will be around 64 football teams and over 300 dance and cheer teams competing. Now, you may be saying "that's a LOT of kids" but, generally speaking Disney World always has a lot of kids visiting it. The difference is, however, that crowds tend to function a bit differently when they are there as large groups versus when they are there as a family, which can frustrate some people. Also, sometimes even the best behaved people might act differently when they are around a lot of their friends. That is true for adults as well as kids. And, if you luck out and run into some of that it can be frustrating, too (and rightfully so). The teams tend to stay at the Value resorts with the All Star Resorts (All Star Sports, All Star Music, and All Star Movies) typically the first choices. So, if you are staying at one of the resorts where there are a bunch of teams staying, you may see them outside practicing, etc. Evenings will tend to be busier because most of the kids and their parents/coaches/chaperones will be at the competitions during the day. However, the further into the week you go, more teams are eliminated which means the number of teams you'll see during the day tends to increase, too. Just like with any trip to Disney World, being flexible is your best weapon to combat any snags. If you see a large group heading in the direction you were planning, adjust your course. Do something else instead. And, if you ever have any problems, your best bet is to speak to somebody right then. Don't wait until you are home because that eliminates any possibility of fixing what is wrong immediately. Instead, head over to Guest Relations or to the front desk of your resort and speak to somebody there. Do not panic if you find out after you've booked that you're going to be there during Pop Warner week. Instead, go into your vacation with a good plan and flexibility (the same advice we recommend for every trip) and you'll still have an amazing vacation!